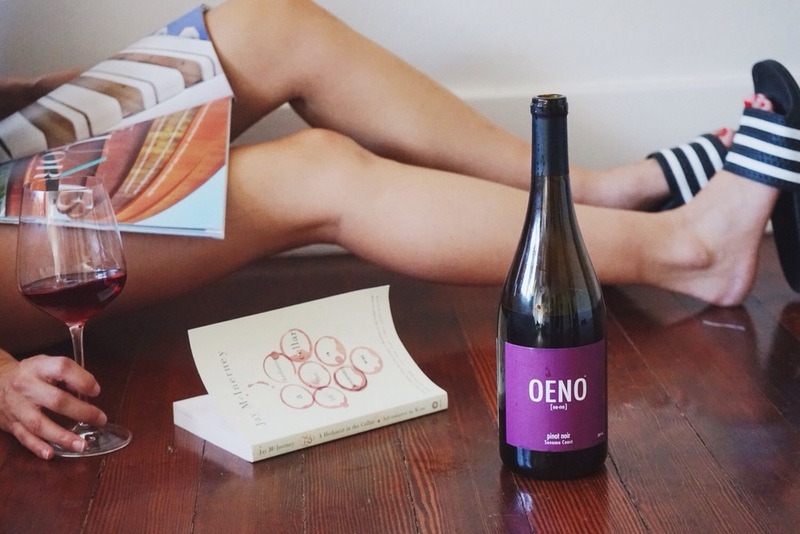 OENO Pinot Noir — WINE. all the time. I love quiet afternoons in sunny rooms with stacks of latest issues and books I've yet to finish, something enchanting echoing through the house. Today it's Travel & Leisure, Jay McInerney, and Les Baxter. Not all wines are meant for these moments, but I can't think of a better way to be enjoying the OENO Pinot Noir. It feels like a fuzzy throw blanket for my heart. And I love throw blankets. I have at least six throw blankets, and yet I can't help but want 400 more. I'm like this with most inventions of comfort and relaxation, including but not limited to oversized collections of overpriced candles, sweatpants, mud masks and bath salts (the kind for soaking, not for eating your neighbors' faces). I want to drink this wine while curled up in my throws while burning my favorite candle in my comfiest sweatpants wearing the tightest mud mask and somehow still be in the bath with these Fiddlefish bath salts I didn't need to buy but couldn't help it because I was stoned at the farmer's market and I CAN'T SAY NO TO BATH SALTS (in the non-eating-neighbors'-faces way). I'm sure you're thinking, "Marissa, you can do that with any wine." And yes, but no. You're wrong. These sorts of "me time" activities-- like scanning Bon Appetit, eyeing shoes you can't afford and putting together new Pinterest boards because that is something you do now-- require a wine that is an ebb and flow of excitement and ease. You need a wine that is not only delicious and brings you back glass after glass, but that it is so easy to drink that you didn't even realize the bottle is gone and you have been shopping for vintage telephones on Etsy for two hours. The OENO Pinot Noir is that wine. But beware. 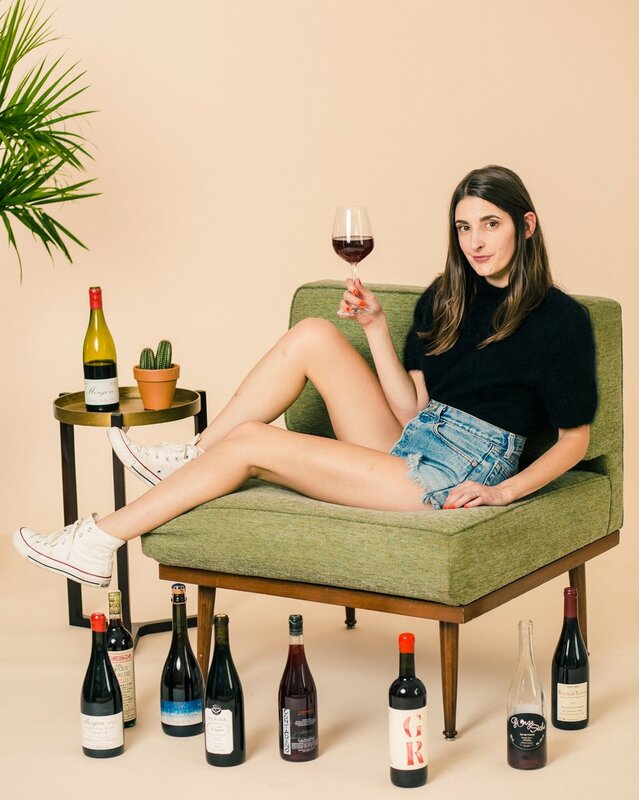 This wine will be your new favorite throw blanket, but it will also tell you you are allowed to buy shoes for "Back To School" even though you are a drop-out with no plans of ever getting your bachelor's. So, what I'm saying is, it's your new favorite throw blanket/best friend. Kind of the same thing, to be honest. Tasting Notes: Energized bouquet, with tart red fruits, a hit of fresh cut grass and a touch of citrus. Bright and soft with lots of cherry and cranberry, hints of supple oak and a few stray Sour Patch Kids. Lovely warm and lingering finish, that throw blanket I'm talking about. Posted on September 1, 2015 by Marissa A. Ross and tagged oeno pinot noir california wine.